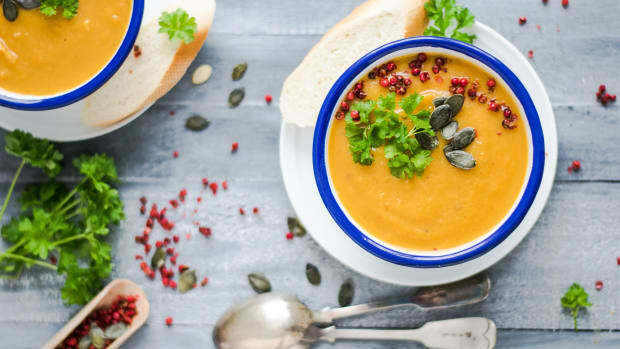 Bring the best of the best among detoxifying ingredients together with this roasted carrot soup, which is infused with aromatic spices that carry both immense flavor an incredible health benefits. Enjoy this soup warm or cool. 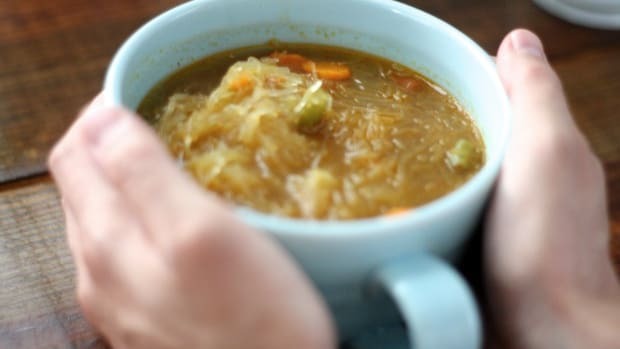 No matter the time of year, it is always important to have a go-to immunity-building and detoxifying soup that fills you up without overtaxing your digestive system. When your digestive tract is given a break, your body can focus on other things, such as clearing skin, strengthening the liver, and burning fat. Ginger, as you may already know, is a panacea of sorts. It has anti-inflammatory effects and helps to protect against cancer. 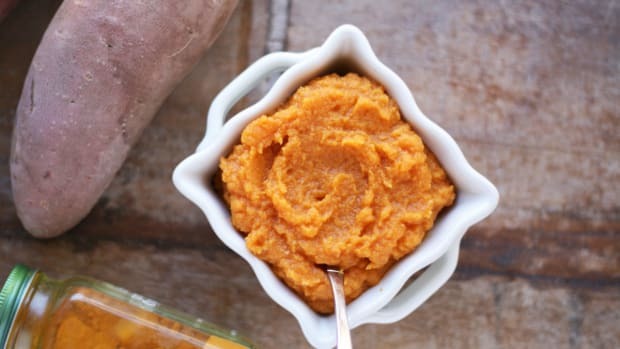 Turmeric’s benefits are just as potent. 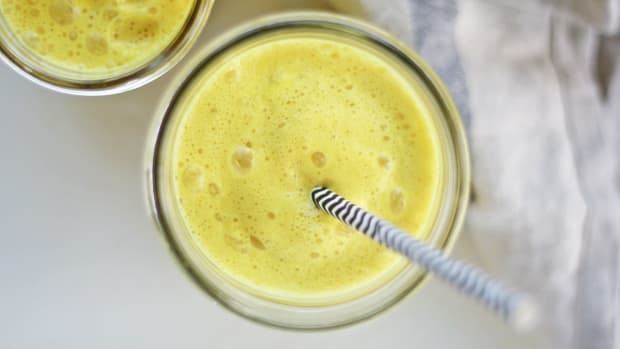 It offers a slew of benefits, including boosting brain health, reducing stress, preventing cancer, balancing blood sugar levels, and relieving pain. Meanwhile, cayenne works to boost circulation and garlic asserts it antimicrobial, antibacterial, and antiviral dominance. Cinnamon offers a warming sensation and a unique flavor. 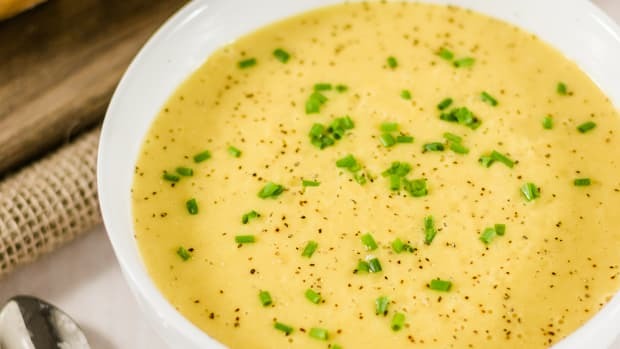 With a carrot base, this detox soup is creamy, thick, and filling, only without the creams, butters, or flour. 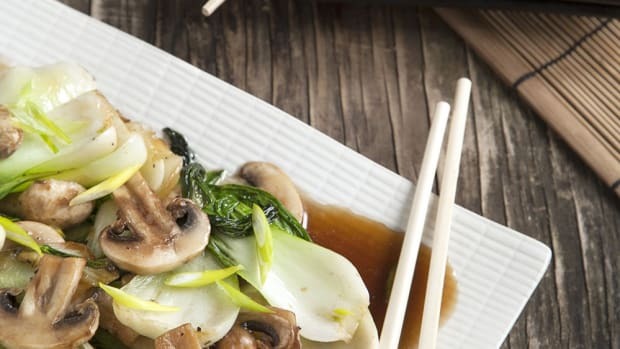 It’s vegan, gluten-free, and satisfying to even the most skeptical of taste buds. Enjoy! In a large pot over medium heat, add the coconut oil and onion. Stir while cooking. 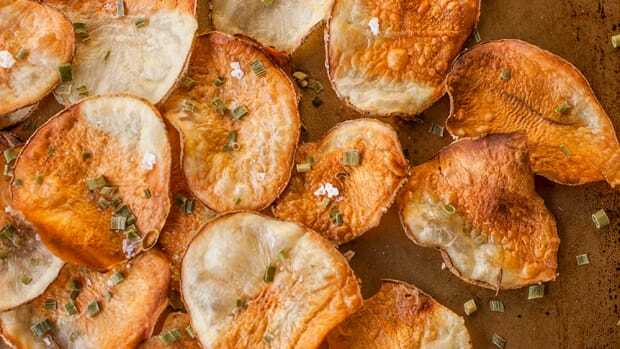 Once the onions turn lightly transparent – about 3-5 minutes – add in the garlic, ginger, turmeric, cinnamon, cayenne, and salt. Sauté the mixture for about 1 minute and then add in the carrots and water. Blend the mixture until smooth and serve with a garnish of your favorite fresh herbs, chopped. 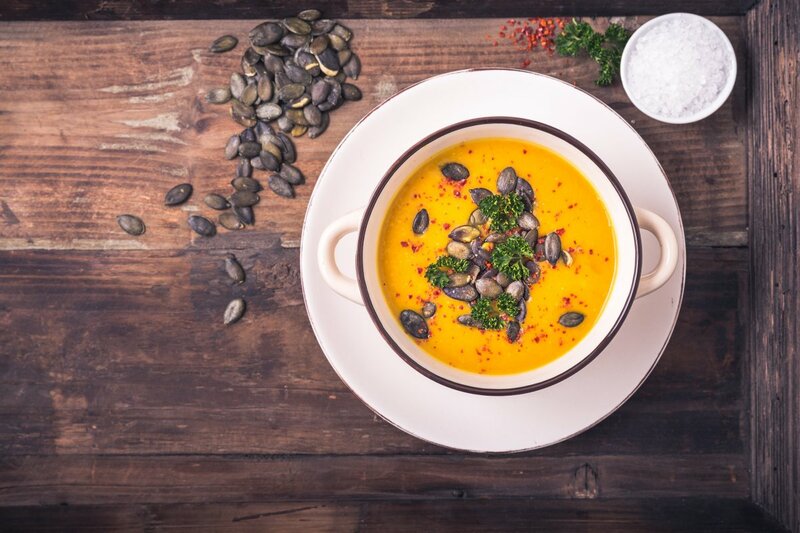 Creamy Vegan Butternut Squash Soup Recipe: The Winter Staple You Can’t Live Without! 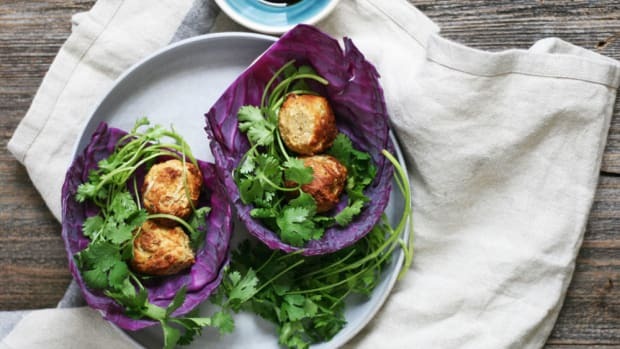 The Best Way to Use Chicken Meatballs: In a Thai Flavored Cabbage Wrap!